Help us understand your perspective better, first tell us your primary experience with the healthcare system. The goal for this project is to address the demand for an updated healthcare system with current and up to date technology. Today’s EHR systems are outdated and overly complicated. They rely on technology from the 1970s which limits their efficacy and prevents providers from tracking patient data in real-time. Medical errors, the third leading cause of death in the U.S., are often caused by a lack of sufficient healthcare information. These errors could be reduced if providers were operating on a modern platform that allowed them to track patient data in real-time. These legacy systems also cannot support the integration of medical data from multiple sources. This prevents relevant information, such as social determinants data, from being integrated into a patient’s EHR. This lack of data integration can also lead to duplicate testing for patients who receive coordinated care across multiple institutions, placing an undue financial burden on the entire healthcare system. Lastly, current EHR systems leave sensitive patient information vulnerable to security breaches. Data breaches are the biggest concern for healthcare institutions. HIPPA reported that 3,230,060 healthcare records were exposed in November 2018 alone. Furthermore, while patient information remains vulnerable to outside attacks, EHRs are not available to the patient, meaning that patients do have access to their own medical records. About our solution: Using Hyperledger Fabric (HF), our goal is to create a secure and permission-based blockchain electronic healthcare system. This system will allow for easy, real-time integration of patient medical data across multiple medical institutions as well the incorporation of patient genomic information. By having the patients’ complete medical record on a secure and encrypted system, we can significantly reduce redundancy and errors in data entry and in turn reduce preventable medical errors and improve clinical efficacy. The HF framework can also support a computational infrastructure that can support the expansion of the healthcare system to better manage patient care and ensure the security of patient medical information. As of today, we have extensively researched the Hyperledger Fabric system and how we can utilize this open source software for our project. We have successfully created a Hyperledger Fabric network that contains a ledger and two organizations, each containing two peers that can participate on the network. We are currently working on reconfiguring the chaincode to manipulate the ledger to hold a patient's basic medical information, as well as their complete genomic information, which is an order of gigabytes per person. Bio: Pedro Guardado is the CEO that will drive towards durable sustainable growth for Henrietta L., Inc as a company as well as being socially responsible to all those that it affects publicly. Pedro’s career first began as Naval Hospital Corpsman that provided services in multiple healthcare settings in the military. Received a BS in Psychology from University of Maryland University College, Post Baccalaureate from University of Maryland College Park and currently pursuing his Masters in Bioinformatics from Johns Hopkins University. Biography: Hana Lejmi is the chief strategy officer (CSO) for Henrietta L., Inc. Hana has received her Bachelors from University of California, Santa Cruz in Molecular Cell, and Developmental biology and is currently pursuing her Masters in Bioinformatics from Johns Hopkins University. She has worked as a biomedical research scientist and has worked on various NGS including the Harmony NIPT, HIV Drug Resistance, and Hereditary Oncology assays at Roche Sequencing Solutions. Throughout her career, she found great interest in Bioinformatics and the healthcare system, and has transitioned into this field. Biography: Sajung Yun is an advisor for Henrietta L., Inc. Sajung is a seasonal entrepreneur in healthcare space. He currently teaches genome analysis courses at Johns Hopkins University Biotechnology Masters program as an adjunct professor. He received Ph.D. in biomedical sciences from University of Hawaii at Manoa in 2009. He received M.B.A. with concentrations in healthcare management & entrepreneurship from Johns Hopkins University. He attended M.D. program for three and a half years at Johns A. Burns School of Medicine. He has five years experiences of post doctoral researches in bioinformatics & genome engineering at National Institutes of Health in Bethesda Maryland. He is a clinical data analyst with current certification of CHDA (Certified Health Data Analyst) from AHIMA (American Health Information Management Association). Biography: Sijung Yun is an advisor for Henrietta L., Inc. to guide successful implementation of genomic data into the Henrietta’s Electronic Health Record System. Sijung is an expert in the genomics field with successful completion of projects both in industry and in academia. Currently, Sijung is a lecturer teaching genomics for Advanced Academic Programs for Johns Hopkins University. With a Ph.D. in physics from Boston University in 2007 for computational biology research on Alzheimer’s disease research, he got five years of postdoctoral training at National Institutes of Health (NIH) for genomics and bioinformatics. He started to teach genomics and bioinformatics at Foundation for Advance Educations in Sciences (FAES) graduate school at NIH since 2009. After postdoctoral training, he founded Yotta Biomed in 2013, and has provided genomics and bioinformatics services since then, specialized in next generation DNA sequencing. He started to teach bioinformatics and genomics as an adjunct professor for Advanced Academic Programs for Johns Hopkins University from August 2017. Biography: Zechuan Shi is the IT Director for Henrietta L., Inc.. He holds a Master’s degree in Biotechnology from Johns Hopkins University, and currently works for Perelman School of Medicine at the University of Pennsylvania. He used to work in a startup company, as a researcher, developing ELISA chip. One of his project at Johns Hopkins was developing early radiotherapy resistance diagnosis chip. He has been working extensively in the field of preclinical drug trials, biostatistics and whole genome sequencing on breast cancer research. With his previous working and studying experience in diagnosis and data science in the field of healthcare, he firmly believes the implementation of genomic data could help precision medicine in the future. Biography: Christaphine Bob-Ray is the Public Relation Director to Henrietta L. Christaphine has a Bachelors in psychology from UNC Charlotte and is pursuing a Masters in Biotechnology from Johns Hopkins University. She has experience in research, missions, and the hospital setting as a cardiac tech. She has a heart for mentorship, global health, and bringing people together. While doing research in Sierra Leone, she saw how genomic data could be used in maternal health to personalize medicine and was intrigued to join Henrietta L to one day bring this technology to the world especially regarding maternal health. She facilitated discussions to bring together scrub nurses to be the change they wanted to see in their hospital and community. 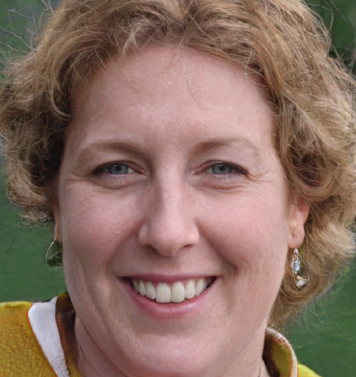 As a cardiac tech in a small town hospital in Connecticut, she saw both middle-aged and elderly patients felt powerless regarding their own health and depended so much on the doctor because they didn’t have access to their own information and to resources that could help them understand how they could live healthier lives. Christaphine is dedicated to connecting people to technology and using the power of the mind to inspire people to live healthy, well-informed lives. 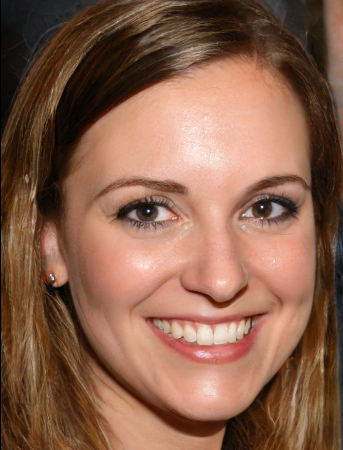 Biography: Blake Neilsen is a business development associate for Henrietta L., Inc., where she provides market research and analysis, identifies problems within the industry, and helps to develop relevant business solutions. She worked for three years at the National Association for Home Care and Hospice where she developed a passion for healthcare policy. Her previous experience in healthcare helped Blake identify a variety of problems with the current healthcare system. She believes that new technology can be leveraged to help provide new and innovative solutions to many of the system’s existing problems. She holds a bachelor’s degree in sociology, political science, and international studies from the University of Utah and is currently pursuing a Master of Public Administration from the Evans School of Public Policy and Governance at the University of Washington. One of Henrietta L.’s highest priorities is to put patients in control when it comes to their medical data. We want to empower patients to take an active role in their health by providing them with real-time access to their complete medical record. Patients should have full access and ownership of all their medical data, including genomic data, and given the option to share that data at the level they are comfortable. This includes the ability to share their data with providers they trust, as well as the freedom to remove a provider from their trusted network. This also includes patients providing informed consent for any and all use of their medical and/or genomic data in scientific research and receiving fair compensation for the breakthroughs and innovations that would not have been possible without the data they provide. Henrietta L. seeks to leverage blockchain technology and the Hyperledger Fabric platform to provide patients with the ability to do all of these things. Physicians traditionally provided healthcare to patients in the form of treatment, surgery, prescriptions and the like. Now the role of a physician has evolved to so much more. Many physicians have their own practices and have to make prominent legal and financial decisions to provide healthcare. Physicians are also researchers, investigating the pathogenesis of a disease in hopes to prevent and treat providing better healthcare. Physicians also serve as directors of hospitals and organizations that advocate for patients as they provide healthcare. So, just as the physician's’ role has evolved, the parts involved in “providing healthcare” has evolved along with it. This means the system in which they use must evolve. 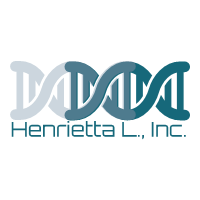 Henrietta will give providers with a fast, user-friendly platform that will reduce redundancy in documentation and data entry, give them real-time access to patient data, and in turn help improve clinical efficacy and reduce medical error. This will allow physicians and other providers more time to provide direct, compassionate, and patient-centered care. The most powerful native feature of Hyperledger Fabric is the world state. The world state is the database that holds the current values of a set ledger states. This makes it easier for a program to get the current value of these states, rather than having to calculate them by traversing the entire transaction log. The ledger state is by default expressed in key-value pairs that provide a rich set of operators for the efficient storage and retrieval of states. Hyperledger Fabric can be configured to use different world state databases to address the needs of different types of state values and the access pattern required by the application, for example in complex queries. This can be leveraged to track and quantify the major performance metrics that have been identified by hospitals and other medical institutions. - Length of stay - Time to service - Patient Satisfaction - Physician Performance - Readmission Rates - The Hospital Consumer Assessment of Healthcare Providers and Systems (HCAHPS) - Average Asset Utilization Rate - Mortality Rates - Bed Utilization Rate - Incidents (Unintentional consequences) - CMS Program Performance - Average Cost per Discharge - Operating Margin - Bad Debt A dataset that can be created by world state can be mined in real time to expose those areas that most negatively impact profit margins and patient outcome. Another powerful feature is the HyperLedger composer toolset that provides easy integration of data from the existing system. It does this by using Loopback API. This integrating system allows you to pull data from existing businesses and convert it to assets or participants in the composer business network. This allows us to tap into legacy systems and incorporate them into our network, increasing our market size. Our project will invert the current healthcare system to prioritize patients and provide them with real-time access to their medical data, leaving them in control and empowering them to be more involved in their healthcare. Having a HF blockchain based platform, we provide parties of a trade transaction to access the same source of information, and this is how we achieve the real time results. We also aim to streamline the order-to-settlement process and reducing the amount of extra work required to complete a transaction. Patients and healthcare providers currently have to navigate several servers in order to gather information, putting patients’ lives at risk each minute. We will provide the platform in which healthcare institutions can retrieve information from the seamlessly integrated real time EHR system, and utilize our toolset to integrate the data from existing systems into one concise source. This will be a one stop shop for an integrated, secure, and robust healthcare system. Our project would use HF to create a platform that can integrate preexisting data from multiple sources, including Ochsner Health System and Blue Cross and Blue Shield of Louisiana, to create a structured, shared network open to rich query. We are able to pull data from various sources that can be analyzed and compared to a patients’ individual health record, allowing our network to be used to provide individual-level risk assessments based on a large pool of social determinant data. In addition, our platform allows us to communicate directly with patients on a secure network providing an opportunity to collect additional information directly tied to a patients’ social determinants. This additional data can help providers make better-informed decisions when structuring high-risk value-based-purchasing contracts. Many providers already deliver services beyond the traditional clinical realm that address social determinants of a patient’s health, and our platform will assist providers in analyzing how these services can be integrated into their value-based-purchasing contracts to offer reimbursement structures that pay for the consistent delivery of these services. EHR is the integration part of the whole healthcare. Close collaborations from healthcare institutions are required. Looking at the four organized healthcare challenges of NOLAHI, New Orleans healthcare community is willing to pursue collaborative efforts. It makes New Orleans one of the most attractive places to incorporate our Blockchain based EHR project. If we win this challenge, we'll unify the EHR system. Unlike other competitors, we can allow each hospital to use its own EHR system. However, with our Henrietta L. system, they can share the medical data instantaneously and securely. Once our system is incorporated, the whole New Orleans patients don’t have to redo the tests or exams any more when they switch to a new hospital. No matter where the patients received healthcare treatments, the records will be shared instantaneously. In this way, New Orleans patients would save money and efforts as well as hospitals and insurance agencies. Our project will rely on the use and integration of currently available technology to benefit the healthcare system. At this stage, we grant an open license to this community to utilize our ideas and collaborate with us. Preventable medical errors are the third leading cause of death in the clinical system, and considering that this comes third only to heart disease and cancer and is preventable is devastating. By creating a secure blockchain based electronic health record system with the patients’ complete medical record and history, we could potentially reduce these preventable medical errors and improve the clinical efficacy. The FDA regulates food, drugs, biologics, medical devices, electronic products that give off radiation, cosmetics, veterinary products, and tobacco products. Since our product will be a platform that incorporates the healthcare system with patients’ electronic health records and genomic information, we will not be directly providing any clinical or diagnostics services to patients. Therefore, we will not require FDA clearance. Our first round of funds will be used for our development team to build upon our minimum viable product and establish a working product. Since it will be mostly done in house with our team, the costs would be minimal. We will also use funds for project management, legal compliance, integration of accounting services on our HF platform, and other associated fees such as servers. We are planning to find the product market fit by and utilizing customer surveys and focus groups with our MVP. The product market penetration will be estimated with the Bass model, and we will adopt a stage-gate model for our launching. Our principle intention is to revolutionize the healthcare system to prioritize the patient providing real-time access to medical data and empowering them to be more involved in their healthcare. Patients will be the sole owner of their medical information, including their genomic data. Additionally, patients will be given the option to release their information on a blockchain network where providers and third-party vendors vie for their data. This can usher in a new economy driven by those who release their information and benefit them proportionately to the level of information they release. Building a proprietary system using HF will ensure the patient data is stored securely. 03/29/2019 - Liked the project. 03/06/2019 - Liked the project. Login to post your comment! This campaign has ended but you can still get involved. Rewards All contributions are tax-deductible. Help us find best new ideas to fund by telling us what you think. Your feedback goes straight to the team behind this project in private, so tell them what you really think. This area is for community members only. Please signin or signup and join our global community of people who care about medical innovation. Important Disclosure : MedStartr.com is a website owned and operated by MedStartr, Inc., which is not a broker-dealer, funding portal or investment advisor; and neither the website nor MedStartr, Inc. participate in the offer or sale of securities. All securities related activity is conducted through Young America Capital, LLC, a registered broker-dealer and member of FINRA/SIPC. No communication, through this website, email or in any other medium, should be construed as a recommendation for any securities offering.